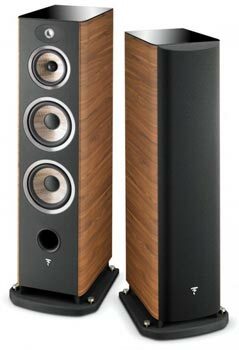 The Aria 948 symbolizes the return of the true acoustic loudspeaker. A new type of 3-way loudspeaker with 81/4" (21cm) speaker drivers effortlessly providing intense and controlled bass. The intention was a return to the very essence of acoustics for those who are passionate about music. This is the ultimate loudspeaker of the range for rooms measuring from 320ft 2 (30m2) and from a recommended listening distance of 12ft (3.5m).